I live for eyeshadow sticks at the moment, and they saved me a lot of time in the mornings this summer during my internship. I love how easily you can apply them to your eye lids, blend it out with a brush or your finger (the latter of which is my tool of choice), apply some mascara, and voila, the eyes are done– so simple and quick. Because I’ve been obsessed with eyeshadow sticks, and have been purchasing them fervently, I was bound to purchase two almost exact shades. 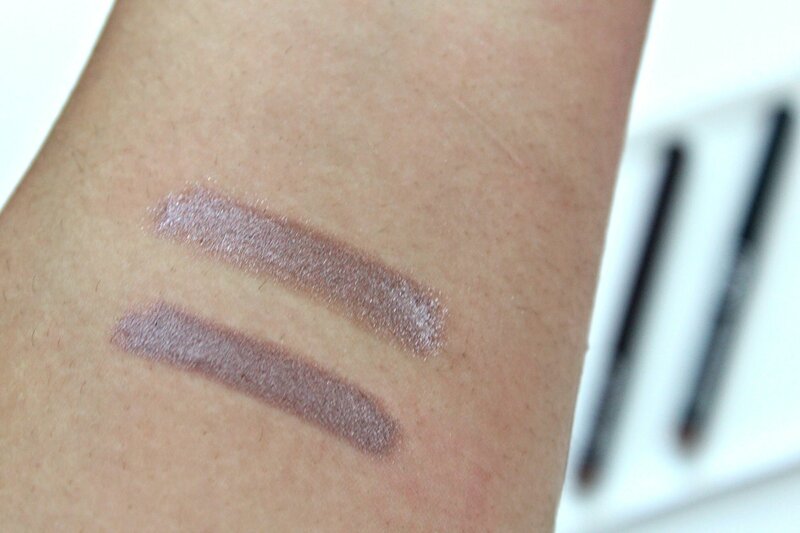 I’ve heard that the Kiko 05 Rosy Brown eyeshadow stick is a dupe for Laura Mercier’s Amethyst eyeshadow stick so I wanted to see it for myself and do a comparison. Not complete dupes, but quite similar— Both eyeshadow sticks are beautiful and very similar. I think Laura Mercier Amethyst is a little creamier so it glides on easier. It also doesn’t have as much sparkle as Kiko 05 Rosy Brown, and the color is a bit deeper. 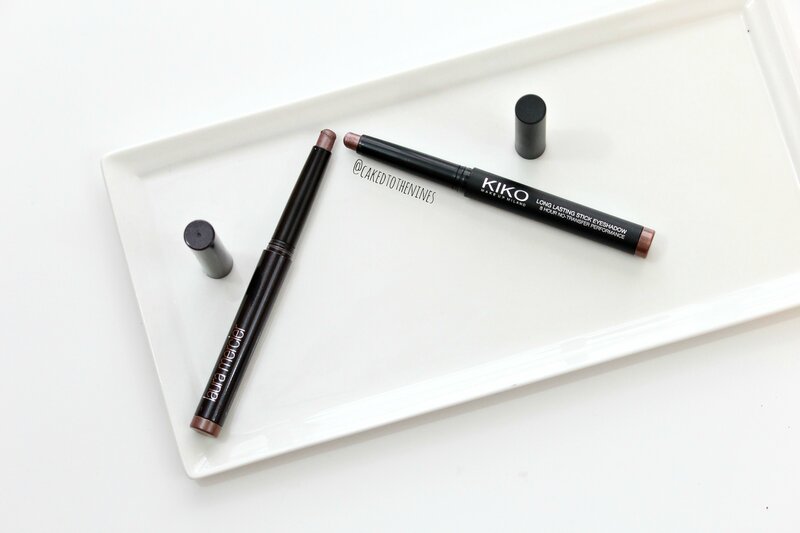 It doesn’t set as quickly as the Kiko one so you have a bit more leeway to blend. Both are long lasting and last about 8-10 hours on me without creasing. If you absolutely hate glitter, but want something with a beautiful sheen, then the Laura Mercier one would be better for you. However, if you love yourself some sparkle and want to save yourself $16 then Kiko 05 Rosy Brown will do the job. Overall, there’s not a huge difference between the two when applied to the eyelids; it’s just up to you whether you hate sparkle or not, and that’s the biggest difference aesthetically between them. Have you tried either of these? What’s your favorite eyeshadow stick? Let me know in the comments below!